Entertainment centers have evolved. It’s not just about gathering to watch the big football game in the living room anymore, huddling around a bowl of nachos on the coffee table. The backyard of any home has become a haven, an extra room for entertaining, when used right. And with an exceptional outdoor TV, you’ll find your backyard has become the new go-to spot for entertaining in your family. But you need to pick the right model. So if you’re ready to do some shopping, here are the ten best outdoor TVs on Amazon right now to help you convert your backyard into a lazy paradise. If you want to impress right off the bat, this LED Tv is the way to go. Its thing design is sleek and futuristic and the display offers an exceptional experience. It boasts itself as one of the brightest outdoor TVs available on the market, as well as the thinnest. With 16.7 million colors logged, this TV is among the brightest you can find and is ranked among the thinnest. It’s a custom Samsung design, tailored for outdoor use, resistant to rain, dust, temperature, and plenty of other hazards of the outdoors. Its durability makes it a must have. Continuing with the trend, this TV gets even brighter with over 1 billion colors on TFT Active Matrix Liquid Crystal Screen with enhanced LED backlighting for optimum brightness. It uses 40% less energy than most competitors and is resistant to most environmental hazards. A few inches bigger can make a lot of difference for a TV screen. 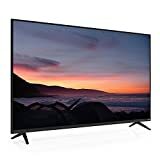 This model has all the amenities and perks of the 50” but with 8 more inches all around of over 1 billion colors and enhanced LED backlit screen. It’s still incredibly environmentally friendly and uses no mercury components. This slim-profile, durable television is one of the best choices you can make for a permanent installation in your backyard. It’s incredibly bright with a multi-fan airflow system to prevent any sort of overheating, especially in the hot summer months. It’s one of the best combinations of durability and experience. Samsung’s Diamond Pro Series has one of the best bangs for your buck. It’s thin, its bright, it’s long lasting, and it’s easy to use. This series boasts an impressive combination of credits to its name and you’d be hard pressed to find a bad review. We’re getting really big now. Take all that brightness, all that amazing LED backlighting, and that energy saving contrast technology and shove into a whopping 65” TV and you have this model. It’s an excellent choice to impress your neighbors, and even yourself with screen beauty and environmental durability. The bigger, the better. Just like the last one this has everything you could possibly want, now in an even bigger screen. Why should you settle for anything less than a home theatre? How about getting everything we just talked about, but adding the amazing viewing experience of a curved HD screen? 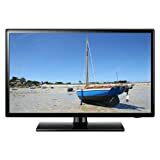 This TV is useful for both indoor and outdoor uses and the curve screen gives an amazing HD affect that cannot be matched. Now we’re getting really impressive. This backlight micro dimming screen with smart functionality and HDMI inputs is the peak of outdoor TV. It’s also 3D compatible for an amazing 3D viewing experience. This TV is the pinnacle of style and the technological top contender for abilities, enhancements, and amenties. 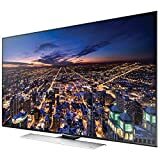 If you want to impress with a long lasting TV and one of the clearest screens you can find, you need look no further than this Samsung model. Overall: One of these TV’s could become the next centerpiece of your barbeque or pool party. Don’t hesitate to do some research and pull the trigger on buying one of these amazing pieces of technology to optimize all the ways you can entertain yourself and guests in your backyard!